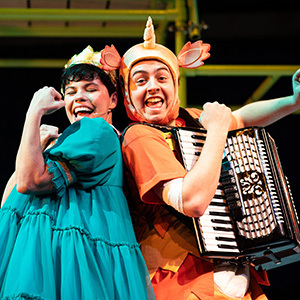 Freckle Productions and Rose Theatre Kingston present Zog by Julia Donaldson and Axel Scheffler. Luckily, the plucky Princess Pearl patches him up ready to face his biggest challenge yet... a duel with knight, Sir Gadabout the Great! 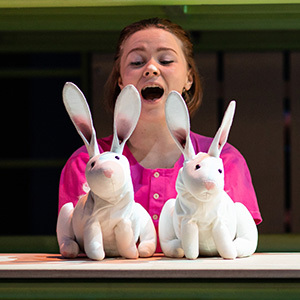 Julia Donaldson and Axel Scheffler's much-loved Zog comes to life in Mike Shepherd's (founder and Artistic Director of Kneehigh) magical adaptation with Johnny Flynn's (award-winning actor and singer-songwriter with The Sussex Wit) sumptuous folk score featuring live musicians. 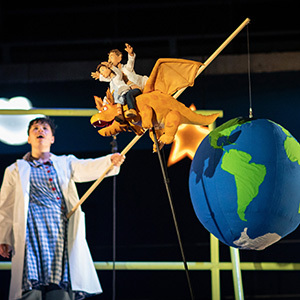 Katie Sykes' design lifts the book from the page and creates a real and fantastical world. 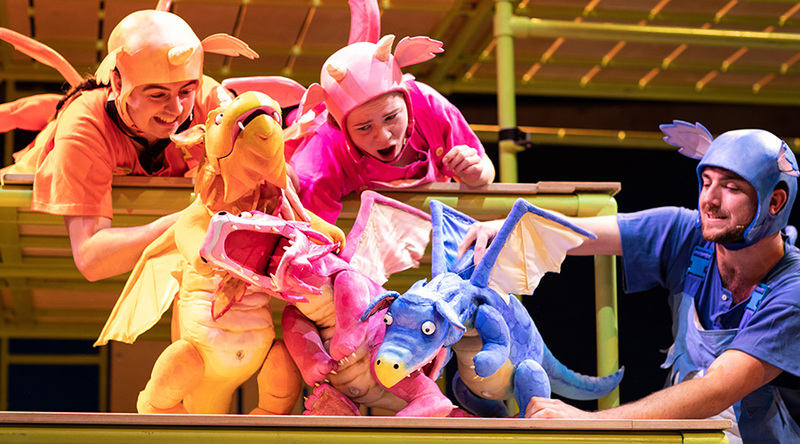 From the team behind Tiddler and Other Terrific Tales and Tabby McTat, Zog promises to be roaring fun for all ages.